All Ashland homes currently listed for sale in Ashland as of 04/25/2019 are shown below. You can change the search criteria at any time by pressing the 'Change Search' button below. If you have any questions or you would like more information about any Ashland homes for sale or other Ashland real estate, please contact us and one of our knowledgeable Ashland REALTORS® would be pleased to assist you. "Extraordinary luxury home with custom finishes, hardwood floors & views to die for are just a few features. A unique property on the 10th golf tee and fronting the S. Anna River with too many upgrades to list here. Full basement, 3 car garage, Florida room, patio, sauna, upstairs loft, and all appliances convey. This home offers the retreat of rural living, yet a short commute to everywhere." "We warmly invite you to visit this amazing, bucolic setting only minutes awayfrom the small town of Ashland affectionately known as ~The Center of theUniverse.~ This house is like having the very best of both worlds: country-quietand very close proximity to the bustling city of Richmond.Located in Hanover County on the crystal-clear Stagg Creek, this masterfullyconstructed home has all of the amenities you could possibly desire. Nestled inVirginia woodlands dotted with hundred- year-old oak trees, loblolly pines,poplars, and dogwood trees in abundance, sitting on the screened-in back porchprovides a truly unique vista. It~s like having your own private treehouse. You~llsee hummingbirds arrive for their annual visits. Woodpeckers knock rhythmicallyagainst the hardwoods. Doves coo, and barred owls hoot their wisdom. You~lleasily spot deer dancing in the forest, foxes playing tag, and raccoonsmischievously exploring their territory. And that~s just the outside!Inside, you~ll enjoy a chef~s dream kitchen with state-of-the-art appliances, androom to entertain friends and the neighbors who enjoy living in this one-of-a kindenclave. Or, you can sit privately in the expansive living area and savor thetranquility. 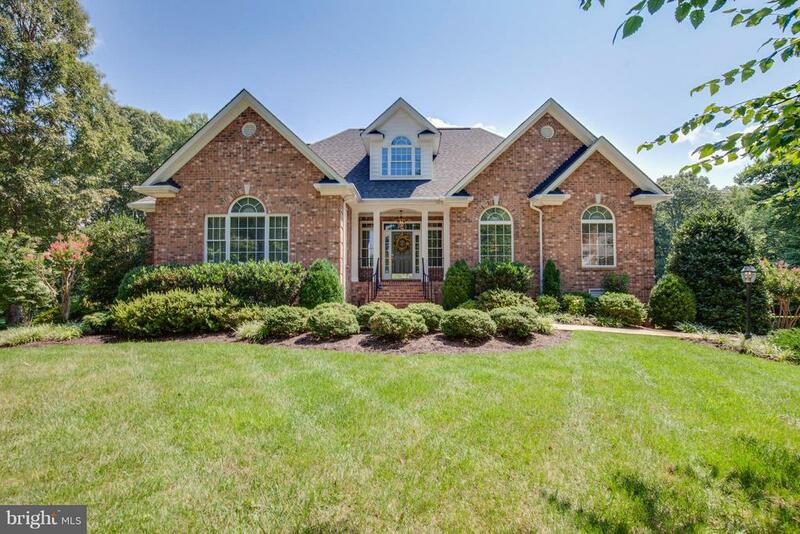 Sounds are limited to birdsongs and swaying leaves of the famous~sweet, Virginia breeze.~ Bedrooms have large closets and breath-taking views.The fireplace roars with the onset of winter keeping the house cozy for yourarrival from work. Trails abound on the property for exploring this vast ten-acrelot with your own eyes, or camera in hand. The gorgeous landscaping highlights apristinely kept yard with minimal grass-cutting, and many flowers to pick for yourcenterpiece or bedside table. There is a finished walk-in attic as well as a finishedwalk-out basement.Have your own peaceful sanctuary, close to the culturally-enhanced state capitalwhere museums abound and new breweries and fun restaurants are popping upeverywhere. Sports opportunities are tempting year-round, "
"Welcome to 10153 Ambys LN! 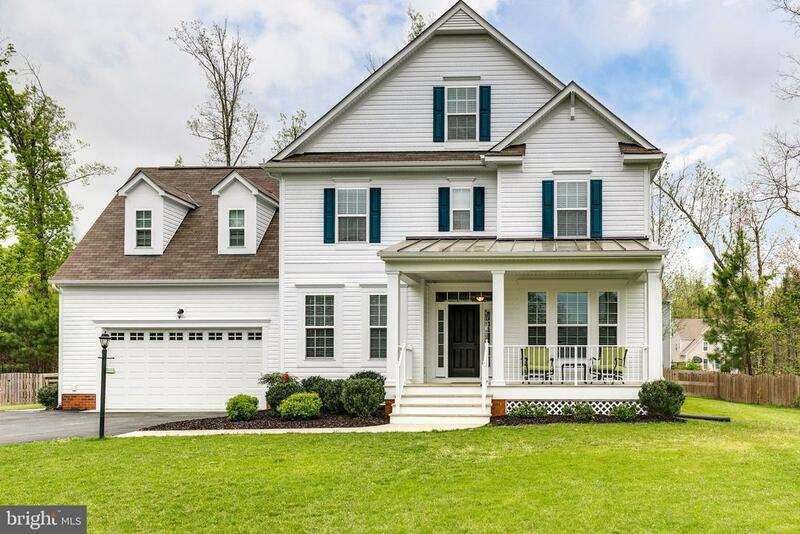 This gorgeous 5 bedroom, 4.5 bath, 4,275 square foot like-new home has so much to offer! It's conveniently located 1.5 miles from Exit 92 of I95 and 2.5 miles from the town of Ashland. 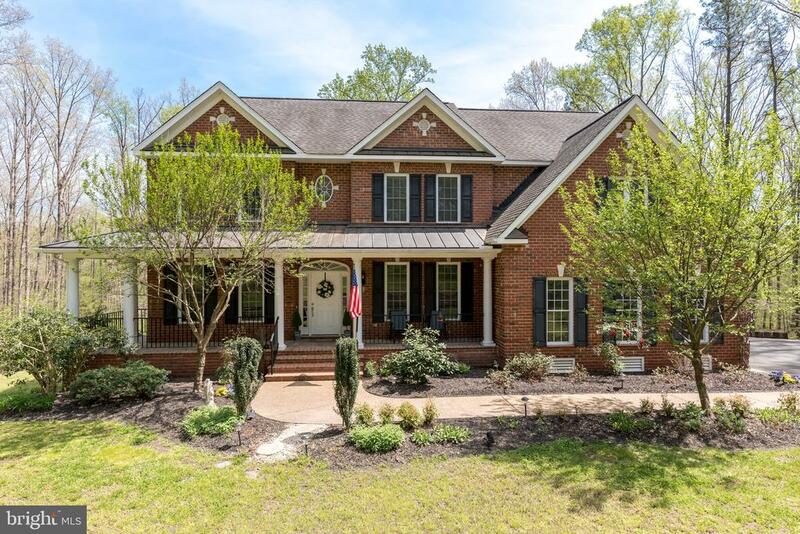 The home features 9' Ceilings and beautiful hardwood floors throughout the first floor, attached 2-car garage, 3rd floor Rec room, 11x11.5 screened in porch, and 11.5x16 rear deck, large fenced-in rear yard. The spacious and open kitchen includes an over-sized island with raised breakfast bar, gas cooktop, tile back-splash, granite tops, and separate eat-in area. The formal dining room opens to the living room, which features custom built-in shelving. Upstairs there is a 15'x15.5' master bedroom with 2 walk-in closets and full private bath that includes a soaking tub, separate shower, and double vanity. The other 3 bedrooms also located upstairs are spacious and have plenty of closet space. The 2nd floor laundry room includes a mop sink and addional cabinet storage. This is a great opportunity to own a well-maintained home in a spectacular established neighborhood. Thanks for visiting, we hope you call it HOME!" "Welcome Home to Slash Cottage. This 3 Bedroom 2.5 Bath, 2 Story Home is situated back from the street, for maximum privacy, backs to woods with mature trees. Check out this beautiful home with New Vinyl Siding, Freshly Painted, New Carpet, Updated Light Fixtures, New electrical switches and child safe outlets, Some New Windows, New Sliding Glass Door with in pane blinds, Shutter Blinds in Kitchen, Plantation Blinds in Family Room. Family Room with gas fireplace. Enjoy the Front Porch or escape to the rear deck to get back to nature. The master bedroom with walk-in closet and private bathroom. 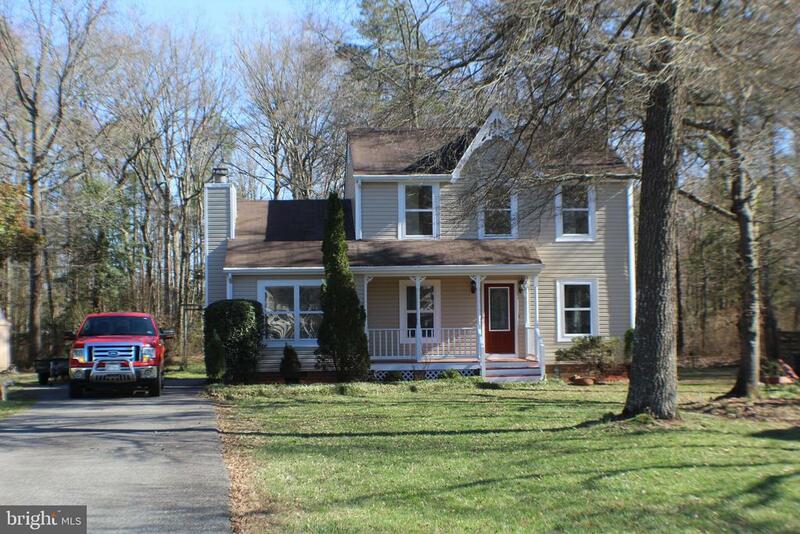 The home is conveniently located just blocks away from Carter Park and the Patrick Henry YMCA, and Route 1. Convenient Walkable Community."